Is your Feline one of the Fat Cats? Fat cats can be the result of a number of factors. In our multi-cat household we have special problems because of uneven eating patterns that happen. Nervous cats are habitually displaced from their food while others are determined to eat everything in sight. Food left for the light-eater (Chanel #5) and the moderate eater (Coty) is more likely to be eaten by the house piggy (Max Factor). The two lighter (and younger) cats can jump better than Max so this situation has been resolved by their food being placed on the bar which is higher and difficult for him to get to. Although he’s a big cat this has prevented him from becoming one of the fat cats. Only his own food is easily accessible. Obesity is the most prevalent nutritional problems and it can be hard to spot because medium and long haired cats tend to hide their fat under form-flattering fur. To get a fairly accurate fix on whether your cat is obese, rub your hands along his side and feel for the ribs. If you can’t feel them, your cat is probably overweight. Even if you know your cat is weight challenged, you may not believe your feline’s flab is cause for concern. But any amount of excess baggage can make it more difficult for your cat to run, jump, and groom itself. Moreover, obesity increases their risk of musculoskeletal injuries, diabetes mellitus, and skin problems. It can also worsen heart and lung conditions, and fat cats are more likely to encounter difficulties during anesthesia and surgery. 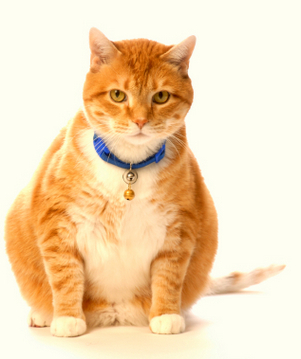 Although obesity in pet cats is common, felines are not over-eaters by nature. Cats in the wild eat only for survival. Hunting takes time and energy, so free-living felines are rarely in danger of consuming too many calories. Even when food is plentiful and easy to obtain, cats in nature are careful not to overindulge to the point of losing their athletic edge. A wild cat that gets obese would probably get caught and killed by predators. But when cats live in the safety of a house or apartment, they no longer need to worry about evading cat-eating predators. There is no exertion involved in getting something to nibble on. The food bowl is just a few paw steps away…and it offers things that are a lot yummier than some old mouse. In fact, the commercial foods are so tempting and palatable that many felines will continue to nibble food even after their hunger is sated. It’s like humans stopping after one peanut…it doesn’t always happen. Other factors that come into play are a lack of exercise, boredom when left alone a lot…a visit to the food bowl is something to do…and sleeping a lot when owners are not present. During sleep, a cat’s metabolism is at low ebb and so it burns fewer calories. Also, cats that are spayed or neutered tend to gain weight easier. However, if it’s a sudden increase in appetite, you have to investigate. Kidney disease, digestive disorders, inability to absorb nutrients, and diabetes can be responsible. These changes in your cat’s eating habits shouldn't be ignored. They include: meowing for food; following you and demanding food at unusual times; accepting all food (especially if your cat is a fussy eater); eating everything in the dish when normally it wouldn't; stealing food; and even begging for parts of your dinner or for snacks. The first step in trimming down fat cats to a healthier weight is to figure out his current food intake…not just meals, but treats and table scraps, too. 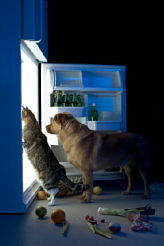 Try to find out if your spouse or kids are feeding the cat treats or food that you aren’t aware of. If your cat is currently getting lots of supplemental food, you may be able to get your pet to lose weight by simply cutting out those snacks and providing a little more playtime. Feed a regular diet in measured meals rather than filling the bowl whenever it gets low. However, if your cat is really tubby, you’ll probably have to switch to a lower-calorie cat food. 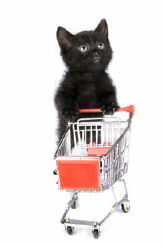 Don’t just run out and buy some “lite” cat food at the nearest pet store. Some “lite” foods are high in fiber, while others are not, and they differ in the amount of calories and fat they contain. Also, the ration sizes the manufacturers recommend may not exactly match your cat’s needs because each cat is an individual and must be fed accordingly. 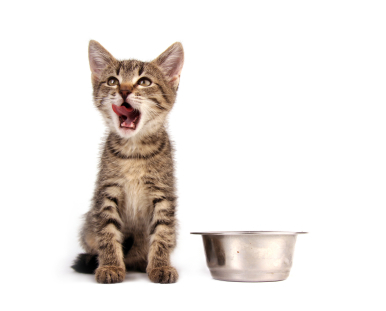 Your vet can suggest a meal ration based on your pet’s own caloric and nutritional requirements. Slow and steady wins the race. Never put fat cats on a “crash diet”. A drastic reduction in food intake could lead to hepatic lipidosis…a potentially deadly accumulation of fat in the liver. Fat cats that start losing a lot of weight are especially prone to this condition. So, switch your cat over to a new diet gradually, and make sure your pet continues to eat heartily. They don’t become fat overnight, so you don’t have to trim them down overnight. Plan your strategy. Free ranging in the “crunchies” bowl should stop by removing it and replacing it with measured portions of dry and canned diet foods served at regular times. It has been my experience when placing one of the cats on a diet that at first they wander over to where their eating place is. Seeing it empty brings a glare at you, then the cat sips a little water and wanders off. The next visit will bring a loud meow or howl. Then when you put out his rations, there is the problem of getting him to accept the new, healthy menu. They will try everything to make you put things back to “normal”. Follow you into the bathroom, the bedroom, jump on the counter and even walk in front of you and holler. The yowling and hollering will continue for a time because your cat thinks it can convince you that it’s starving. The only positive note is that your cat is getting exercise running around after you and jumping on counters. More activity and less food for fat cats will help trim it down over time. Your disgruntled dieter will undoubtedly continue to cry for snacks and treats but stick with your resolve. Indulge your fat cat with more petting and playtime. Remember that by helping your cat slim down now, you’ll likely give your furry friend a longer, healthier life. The best way to lose weight is to eat less calories or less food and get more exercise. I have found that eating less calories with a prescription diet food is preferable because if you give your cat less food it’s more difficult… you love your cat and don’t want it feeling like it needs more food or that you are being a mean to it. The “lite” foods on the market are more for maintenance. You have to be careful not to overfeed with these just as much as with a regular diet. Calories are calories, and if the cat takes in more than it uses, you’re going to have weight gain. The weight of a healthy adult cat should fall between 6 and 12 pounds. The easiest way to calculate weight is to weigh yourself and then repeat this while you hold the cat. The difference is the cat’s weight. Numerous overweight cats are inactive and live in apartments with owners away most of the day. To compensate for their absence owners leave a bowl of food that the cat can eat at his leisure. The only break from napping (and the only exercise) the cat gets is running to the kitchen for snacks. Most cats are sprinters. They’ll go full tilt for short period of time. The important thing is to play with your cat every day… do the 10 – 20 minutes when you wake up in the morning and right before bed. Cats are crepuscular…meaning they are most active at dawn and dust. It’s good to interact with them at these peak activity times. Climbing is something all cats enjoy and also a good source of exercise. 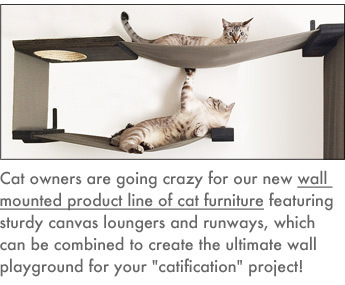 Consider purchasing or building cat furniture that will give your pet a chance to satisfy that urge to “climb every mountain”. 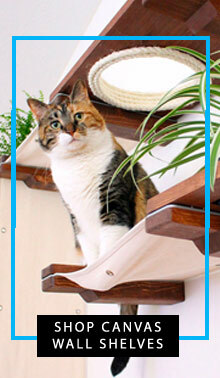 Encourage your cat to use his gymnastic ability by hiding a toy or toys on the shelf or top perch. If you have multiple cats, a good toy is anther cat. Having them both chase something and try to catch it first can be good exercise for both the fat cat and the normal weight cat. The consequences of felines being fat cats are many. It can cause many health issues such as kidney problems, heart disease, congestive heart failure, gastro-intestinal problems, diabetes, osteoarthritis , to name a few. Vets have a difficult time examining and treating fat cats. Excessive fat interferes with evaluating heart sound and feeling the pulse and abdominal organs…this can create surgical risks. So, with the variety and selection of foods for weight loss and maintenance available, it can be a daunting task to know which one to use. 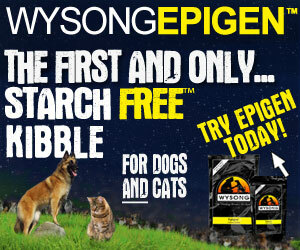 As your vet what products they recommend and in more severe cases get a prescription diet food from them. Another option is Entirely Pets. 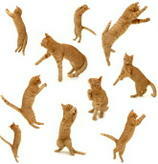 Enter Cat Diet Foods into their search box and a variety of options will come up. Of course there is also Petco. Once you are on the website type Vet Cat Diets into their search box. You will get similar items. Diet foods for fat cats are more expensive than regular cat food so to keep costs down I found that expanding the exercise routines dramatically and substituting some freshly cooked chicken (with out skin or spices) satisfied a portion of the nutrients needed to fill the big tummy of a tubby cat so he could still reduce his weight and curtail the yowling. Cats require certain dietary components and animal-derived nutrients. 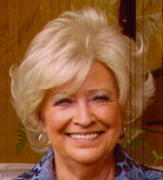 They aren’t vegetarians and are unable to survive for long periods of time on a meat-free diet. While cats can digest some vegetable matter, they don’t have a strict need for greenery. However, they should have access to grass as a vitamin source and a way to rid the system of unwanted matter, such as hairballs. Using a vegetarian diet as a weight loss tool isn’t recommended because cats are obligate carnivores. It takes time and commitment to keep fat cats on a successful weight loss program… and kitty will test your patience with all the yowling. But the joy of having him with you for some extra years, in good health, will be the reward for your efforts.